Leinster were handed a major boost with Robbie Henshaw and Devin Toner both named to start Saturday’s Pro14 clash with Glasgow Warriors. Neither have played since the opening day Six Nations defeat to England and their returns come at a curcial stage of the season. 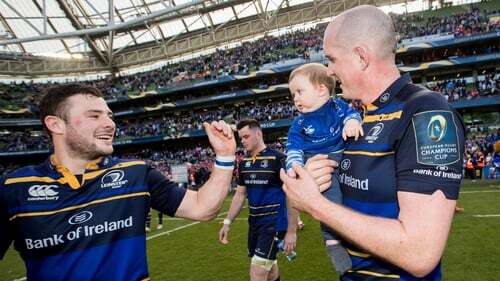 The departing Séan O'Brien captains Leinster against Glasgow at the RDS in what is their final home game of the Pro14 regular season (kick-off 3pm). The British and Irish Lions back-row is set to depart for London Irish at the end of the season, but before then he has plenty of big games in blue to look forward to. Leinster have already qualified for the knock-out stages of the Pro14 as the top team in Conference B and they are through to the European Champions Cup semi-finals. In the back three, Rob Kearney is joined by Jordan Larmour and Dave Kearney, with the returning Henshaw paired with Joe Tomane in the centre. Henshaw’s hasn’t seen action since suffering a dead leg in the England defeat, the same game Toner injured his ankle – a problem that required surgery to correct. Ed Byrne, James Tracy and Michael Bent start in the front row, with Toner back to take his place in the second row alongside academy forward Jack Dunne. It will be a first Leinster start for the 20-year-old. The back row sees Josh Murphy, O'Brien and Caelan Doris pack down. On the bench there is the potential for a seasonal debut for Will Connors. Connors injured his anterior cruciate ligament against Newcastle Falcons in the pre-season friendly back in August and has been out injured since. Should he come on he will become the 56th player used by head coach Leo Cullen this season.